Who doesn’t love a good New Year’s resolution? The chance to start anew, stop unhealthy habits and better ourselves for a richer, more fulfilling life. I’m game. Of course, the trickiest part with New Year’s resolutions is keeping them. Change is hard. Sure, those resolutions usually start off full of optimism and ambitious energy, but by the time February rolls around (if not January 2), we often find ourselves back to the old ways and bad habits we’re trying to change. What if I told you I had a New Year’s resolution that would not only be easy to keep, it could improve your life in an instant and keep on improving your life for many new years to come — because it’s not just for you, it’s for your home as well. I’m not saying we should forget about resolutions like losing weight, eating healthier and finally finishing that novel we’ve been threatening to write for a decade. You should absolutely follow those goals and stick to them if you can. But a resolution you can’t quit is always a positive thing to have and one I know lots of us could use. Plus, a home resolution does not require a lot of effort and yet the results will have lasting effect on so many elements of your life. Your New Year’s home resolution can be big or small. It can affect every room and totally transform your entire living space. Or it can be a simple change like replacing old bath towels or adding new sheets to give a room a refreshed look and feel. Big or small, whatever you choose will have an immediate effect on you and your home, unlike most resolutions. Here’s a super simple way to bring in the new year. With a totally redesigned bedroom, luxuriously comfortable sheets and new decor, every day will feel more positive and welcoming. You’ll marvel at how much impact a small design change can have. 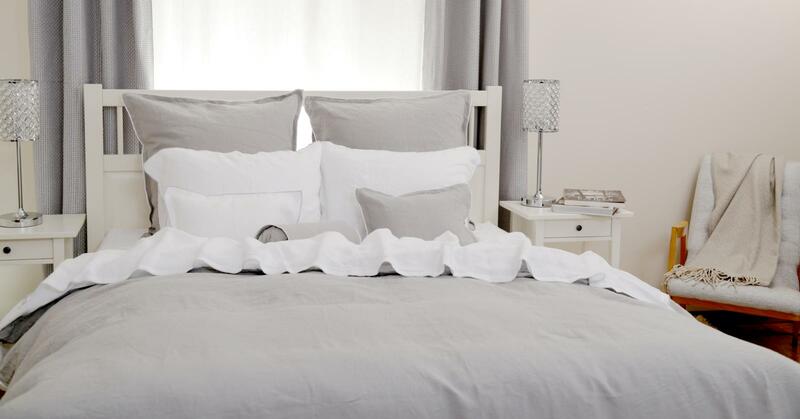 Not only can the right design positively affect your mood and outlook each day, but if you’ve been sleeping on the same sheets for a while, upping the comfort level can also enhance your sleeping experience for a better night’s rest. We’ve got a wide variety of fabrics with your choice of thread count, decor pieces like duvet covers, shams and throws, and a huge selection of original designs, from modern to heritage-inspired. With the right touch, your room will feel brand new and inspire a new you in so many positive ways. Looking for something small you can do to improve your home and daily experiences? Take those old towels and replace them with thick, super absorbent towels that not only make your bathroom look more elegant and luxurious, they feel soft and delicious on your skin. A large assortment of designs and styles crafted by talented artisans sets the tone as you see fit, this small change makes a huge difference for everyone in your home — and for guests as well. Turn a boring bathroom floor into a beautifully enchanting scene with one of our intricately detailed bath mats. As soft on bare feet as they are pleasing to the eyes. And don’t forget your resolution to be good to yourself. Wrap yourself in one of our cozy bath robes and take that much-needed down time you’ve been promising yourself. You deserve every thread of comfort they provide. If spending more quality time with family is one of your goals, what better place to start than with the table you share meals. The simple step of adding a beautiful tablecloth, napkins or placemats, hand embroidered and hand stitched to your table can transform breakfast, lunch and dinner into something more special, every time. Because the meals we share with friends and family should always feel special. At my house, the dinner table is the only place where everyone is together in one place. As the days spin by, it’s the perfect moment to find out what’s going on in their lives. And I can promise you that more laughter has come from that table than from any time spent watching shows on the couch. I believe the time we spend surrounding that beautiful tablecloth have played a huge role in fostering the feelings of love, friendship and togetherness that make any family richer in life, whether you’re rich, poor, traditional or non-traditional. And when friends come over, nothing sets up a good time and great conversation like a well placed table where we can swap stories and get in touch with each other’s lives. 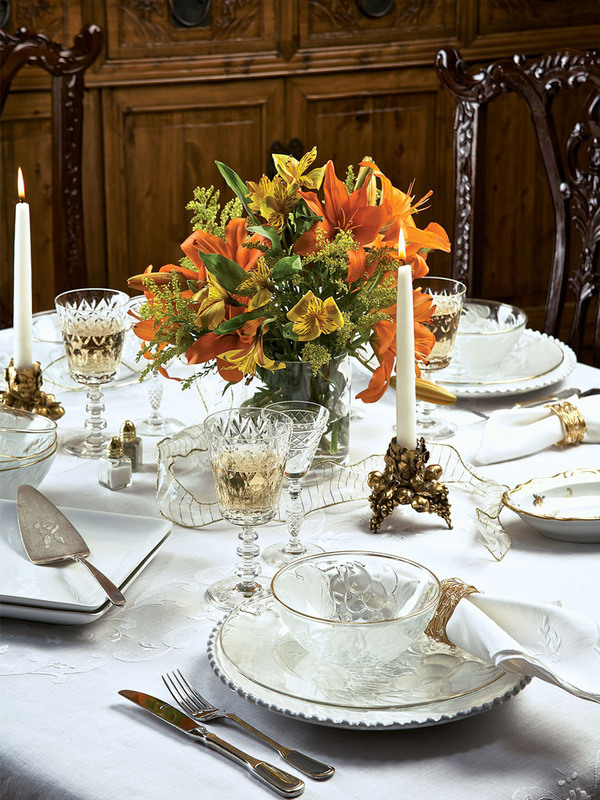 With additional pieces like napkins, doilies and even gorgeous centerpieces to set the theme, creating the perfect environment to get closer to friends and family has never been easier. As a small family business, with over 45 years offering the finest linen at the most affordable prices, we’ve seen a lot of New Years resolutions come and go. We’re proud to say that our home resolutions are the ones that weren’t dropped or forgotten. Because the positive effects of those resolutions can still be seen and felt in different homes around the world. And the people who made them are better now for it. Isn’t that the point of any New Year’s resolution? So this new year, let us help you make and keep the resolutions that will not only make your home more beautiful, more inviting and more comfortable, they will enrich the lives of you and your family with happiness, luxury and overall well being. From our family to yours, we wish you a happy and healthy New Year.